Multiple rainbows? This must be your lucky day! 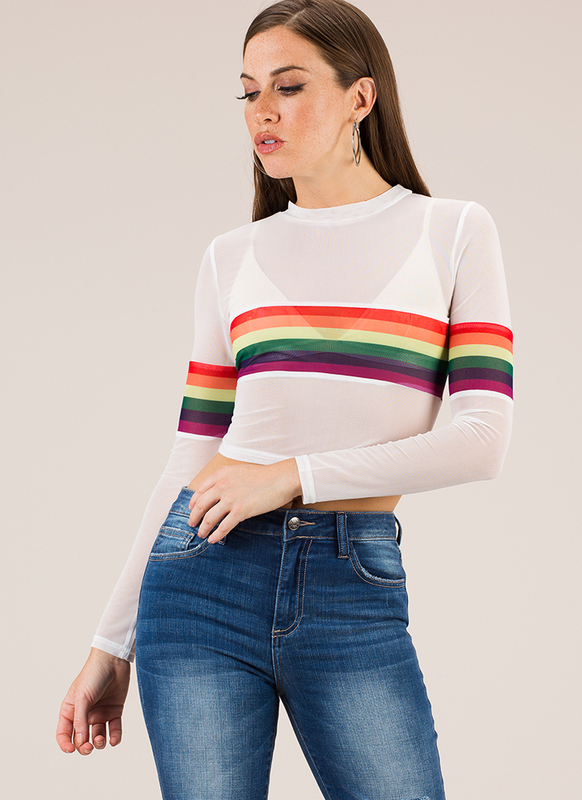 Stretchy, lightweight, long-sleeved crop top features a sheer mesh throughout and striped, multi-colored, rainbow-inspired panels around the bust, back, and arms. No closures are included.